I was just introduced to Snapchat a couple of months ago. I know, I’m way behind the times. That app brings hours of entertainment to my son and me. We crack up at all of the different filters. Have you ever been looking at the “pretty” filter on Snapchat and wishing you could walk around wearing it all day? One day while having this exact same thought the idea came to me. 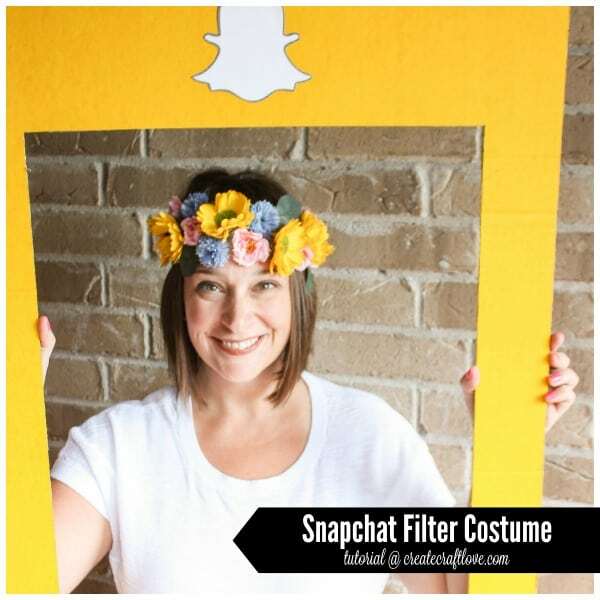 Of course I can walk around wearing the filter all day… as a costume! 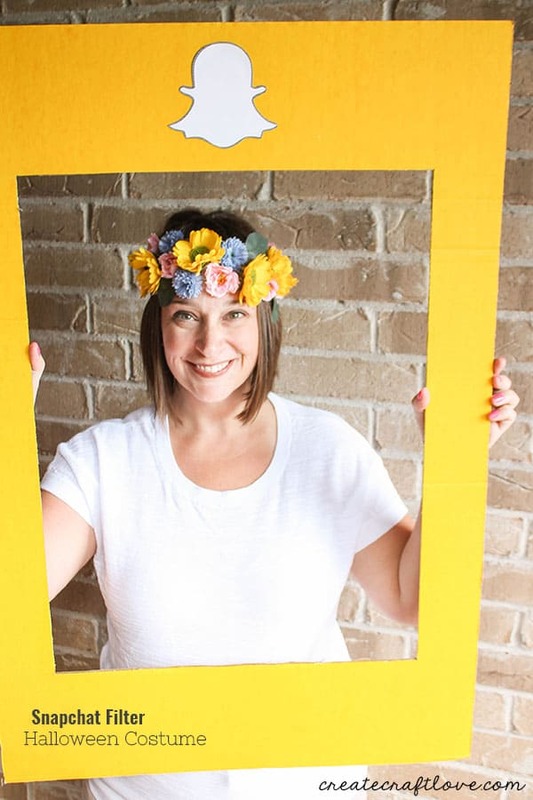 This Snapchat Filter Halloween Costume is a an EASY DIY idea for the upcoming festivities! 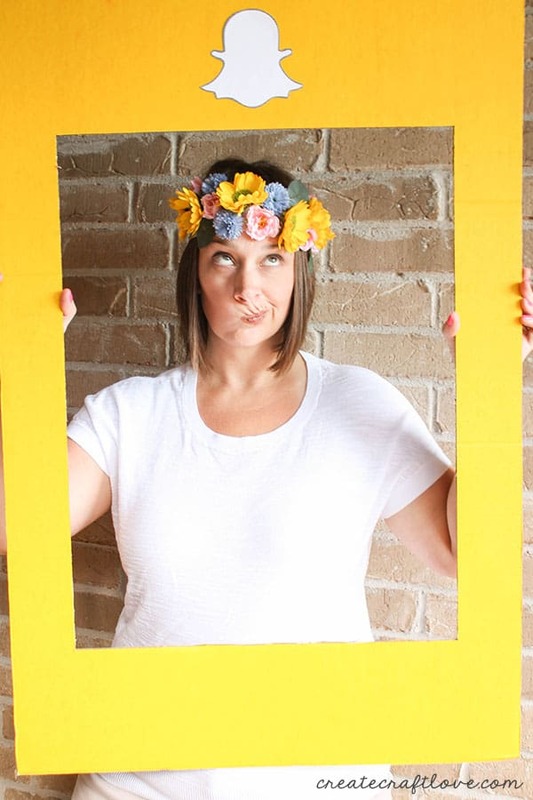 Begin by creating your floral headband. 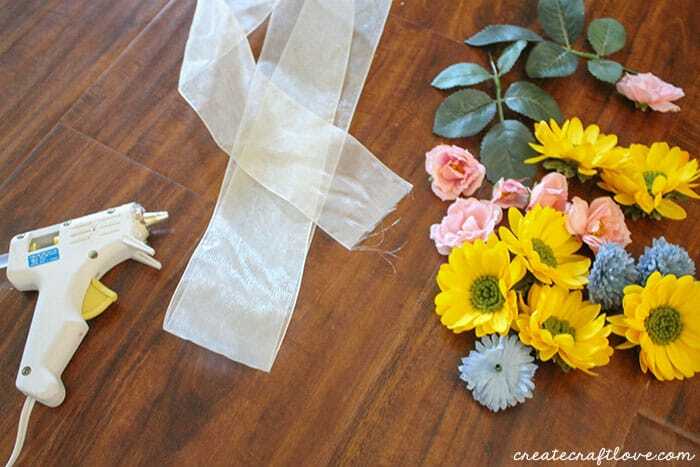 You will need the silk flower sprays, white sheer ribbon and hot glue gun. Pull all of the flowers off the stems. You may need to trim them down a little more in order for them to glue to the ribbon. I used about 30 inches of ribbon. Lay down some wax paper. The hot glue will seep through the sheer ribbon and stick to whatever surface you are working on. The wax paper will allow it to peel off once dry without ruining the integrity of the ribbon. 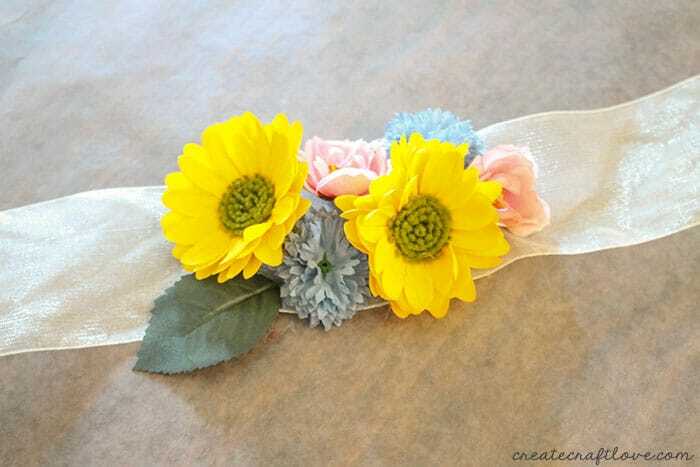 Randomly start gluing the flowers to the MIDDLE of the ribbon. Work towards the sides. I covered enough of the ribbon with flowers so that when I turned my head you could still see flowers. Now it’s time to cut your frame. 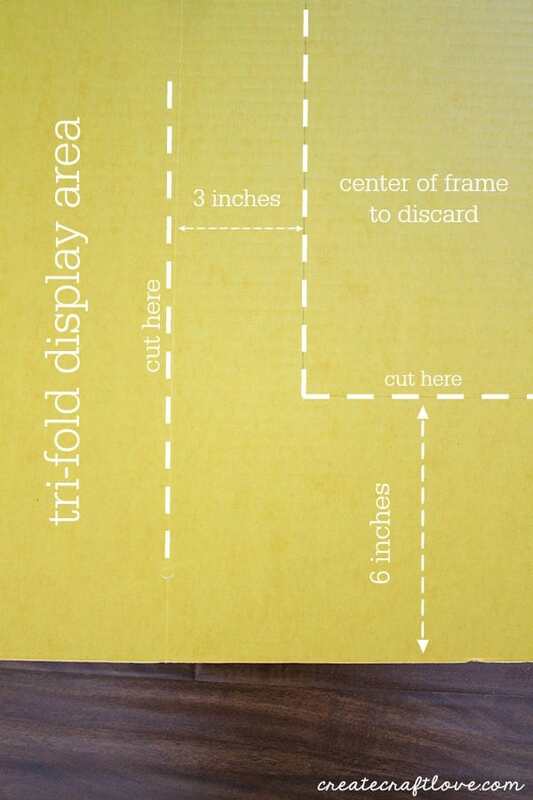 I trimmed the folds from the tri-fold display. The vertical edges are three inches wide and the horizontal edges are 6 inches wide. 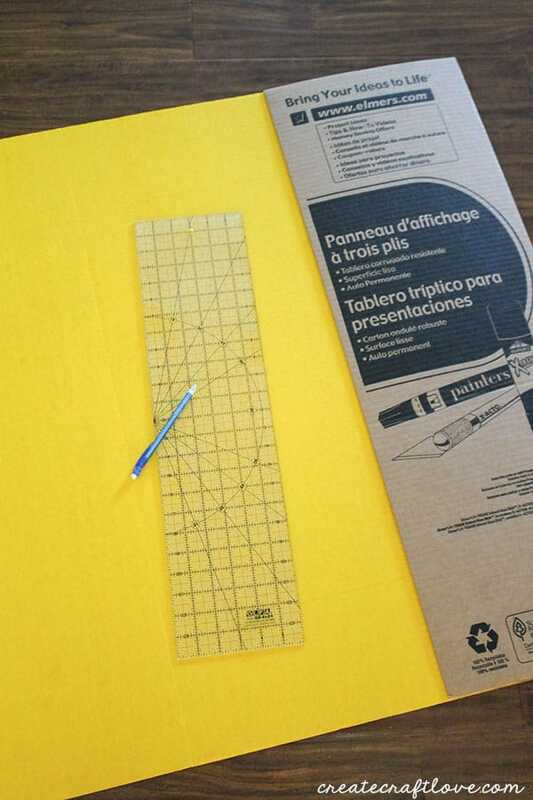 Use the ruler and pencil to mark out these dimensions. See diagram below. 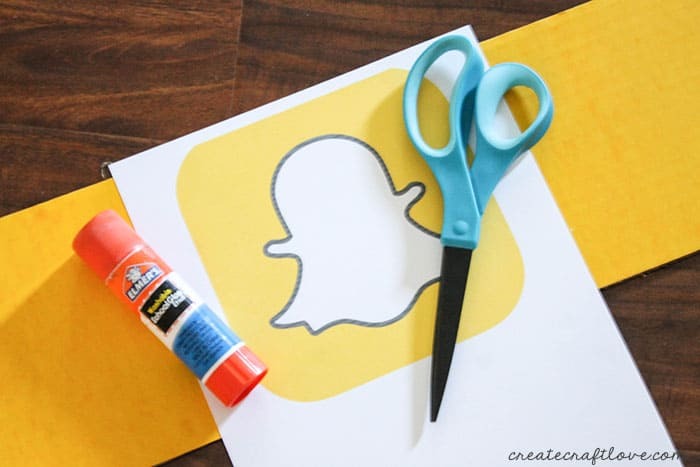 Once your frame is cut, you will need to add the Snapchat ghost. I googled “snapchat clipart” and printed one from there. Cut out the ghost and glue to the top center of the frame. Use a heavy book to keep it flat. Tie your headband to your head, put on some makeup, and don the frame. Voila!! 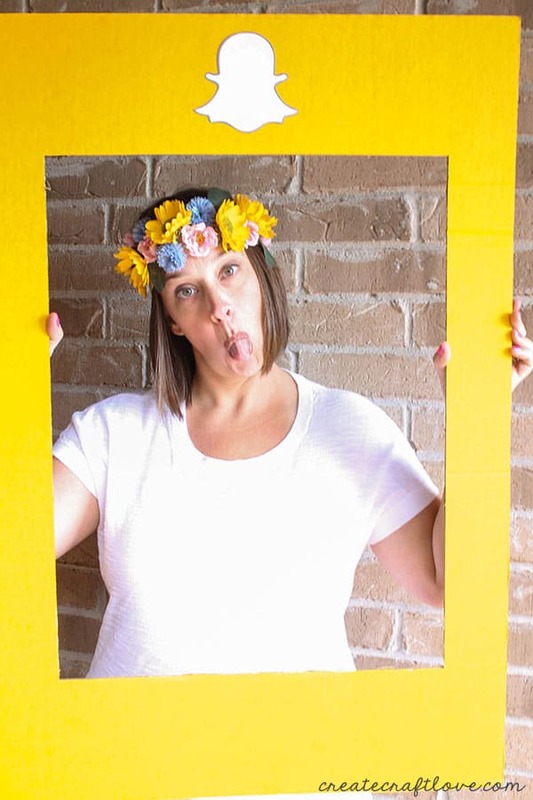 You now have a Snapchat Filter Halloween Costume of your very own! How easy is that?! This is a great costume idea for teens and adults! You could totally get some cat ears and paint a face! Just think of all of the filters and the possibilities!